The standaard BBpress searchfunction is very bad,slow, had no options to filter and it looks there is no development on this. A good searchfunction is so very important for a succesfull forumscript. After long searching and testing serveral search-plugin i’ve found a good working plugin. I use the free version. The pro version has more options. @senatorman thanks – I’ll give it a try after xmas ! Hi @senatorman, I know this thread is a bit old but I’m curious about this plugin and hope you can help me out! 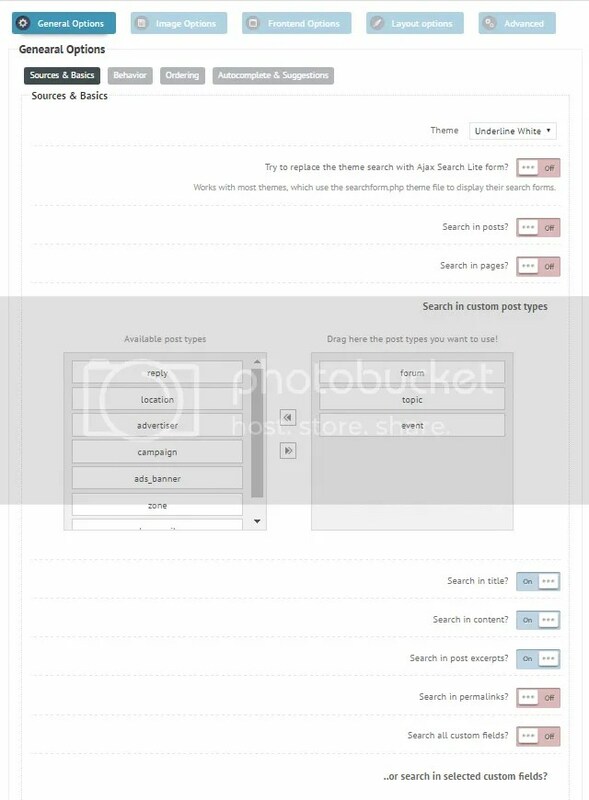 For Ajax Search Lite I only see options for searching the main site, not for searching through the forum posts. Can you tell me how you were able to do this? The plugin has many configurable options. You can drag and drop the items you will include the search.